[7:44] What types of questions should you be asking? [10:37] What if you’re not confident? [13:18] How to deal with negative responses? I am completely inspired by the stories of lives being changed. Just keep asking the question and the more you ask, the easier it becomes and the more business you get. 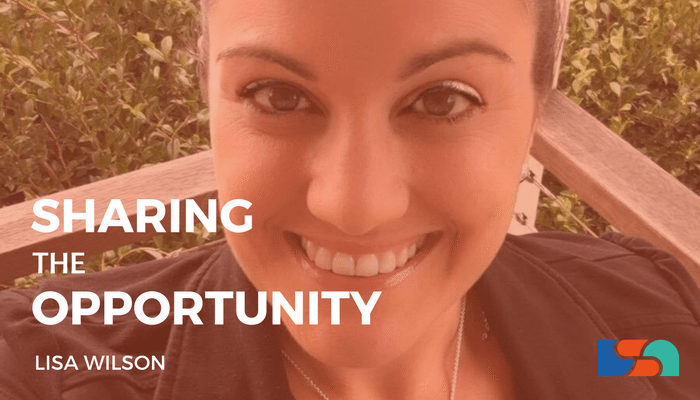 [0:41] Jen: So today we are going to talk with Lisa Wilson about how to overcome the fear of starting the conversation with others, how to share the business opportunity, and we’ll discuss on thoughts and tips for leadership. Lisa is from a global Party Plan business in the beauty category. So welcome to the show, Lisa. [0:55] Lisa: Thank you very much, Jen. [0:57] Jen: So, have you ever worried about what to say to people when sharing your business on how you connect, what you’ll say at the start of the conversation? Does anyone out there feel nervous approaching people with your product or your business opportunity? You might find yourself holding back when you really should be sharing. Many people we know feel uncomfortable when it comes to selling their products or sponsoring others into their team. Let’s face it none of us wants to be perceived as that pushy or salesy guy or woman especially when connecting with friends, family or other close contacts. 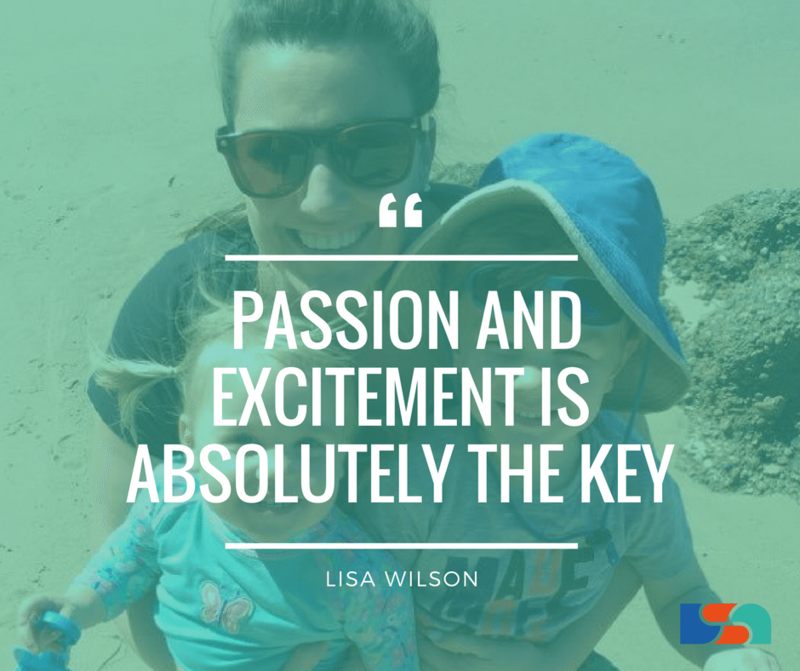 So, Lisa, maybe you can share your insights with us today but first can you tell us a little bit about yourself and what your background is? [1:33] Lisa: Sure, thanks, Jen. So, I am thirty-three years old I actually just had my thirty third birthday but I seriously feel like I’m still twenty-one I don’t feel thirty-three doesn’t feel old so that’s fine with me. [1:45] Jen: It’s not old. [1:47] Lisa: It’s not, is it? So, I live up in New Castle in New South Wales with my husband, Daniel, who is a high school teacher and my two kiddies, George is four and my cheeky little daughter, Everly is two. We are huge camping family so we love going away just on short trips and long ones as well but pretty exciting news lately. My husband and I have been camping at a tent for about fourteen years and we have finally just bought our very first caravan and so that’s a bit exciting. [2:19] Jen: Oh, yes that is exciting. No power point in a tent right? [2:25] Jen: Can you give us a short overview of your business then? [2:29] Lisa: Sure! So, My wonderful team we actually only last week or the week before hit three hundred amazing women. We are from all across the globe. I have girls in every single state and territory of Australia. I also have a team in the UK and more recently a team in Mexico as well, so it’s pretty global which is exciting. [2:53] Jen: Well that is exciting. I imagine technology allows you to do that. [2:57] Lisa: That is the awesome thing about this business is that technology and the world we live in today makes it possible to do business with anybody anywhere really. [3:05] Jen: Even from a caravan or a tent. [3:07] Lisa: That is exactly right. [3:09] Jen: If you weren’t in direct selling what do you think you’d be doing? What would your life look like and what would you be doing for work? [3:16] Lisa: Yes, so my life would be looking very, very different. I have actually come from eleven years in the corporate world, believe it or not, and I am very new to direct sales. I‘ve only been doing direct sales for a year and had you asked me eighteen months ago or have you told me these is where I would be I would probably not believe you. I was in the steel industry for eleven years in corporate communications manager. So my life was very different and if I wasn’t doing this will be back there so it would be hugely long hours day in and day out and really in a job that I had no passion for because I truly believe that most people went through life working because they had to work and they had to earn money and that people you know wasn’t really possible to do something that you’re truly passionate about. So I’m pretty excited to have found direct sales and realise what it can do for your life and what it can do for your family and you personally and your personal growth and so forth so I would be in a very, very different place and I’m very, very happy to be here. [4:26] Jen: We‘re glad to have you. So I know you’re excited today to talk with us about Sharing The Opportunity. Can you tell me why this topic stood out for you? [4:34] Lisa: Yes, absolutely, so in my very short twelve months as I say my life has changed dramatically in such an incredibly positive way and so my theory is why wouldn’t – if this industry has changed your life or even enriched your life in small ways, why wouldn’t you want to be sharing your opportunity with people? So I think it is definitely the part of my business that I am most passionate about and I’ve actually been blessed to be recognised quite recently as a highest recruiter worldwide for my company which is amazing and has been. [crosstalk] [5:09] Jen: Wow! That has blown me away! That’s incredible, congratulations! What an achievement. [5:14] Lisa: Thank you, yes. [5:18] Jen: You must be working hard. [5:21] Lisa: Oh, I am, but I’m just so passionately excited that I just love sharing the opportunity. That’s absolutely why I want to talk about this topic today. [5:28] Jen: So we all know that it’s important that to grow a direct selling business we need to share the opportunity, which can be easier said than done. Striking that conversation, even that can be a huge fear for many. So can you share with us Lisa how you strike up a conversation you know, what kind of things you talk about, what kind of questions you’re asking and how do you get people to kind of become open to engaging with you? [5:51] Lisa: Yes, absolutely. You’re right, it is a huge fear for many people just taking that step to ask the question and that’s really what it’s about, it’s about getting out there and asking every person that you meet, every person that you come across because we learn along the way that direct sales is really for everyone and anyone and you never know why or how it can enrich someone’s life. I think if you’ve had an amazing experience, as I said that has enriched your life in any way or if you know others had their lives enriched and it doesn’t necessarily mean a monetary or that they’ve achieved great things in terms of ranks or anything like that within their business but, you know, they may have gained confidence or they may be doing something that allows them to give back to the community. All of these things should sort of feed into your opinion of your company and the opportunity and once you get out of that fear of asking the question, it’s sort of like what do you’ve got to lose? And the first time you hear a yes, in terms of purchase or having a party or joining a team the first time you hear that yes, it kind of wipes all of the no’s or maybe’s away and it gives you the momentum to go forward and just keep asking the question and the more you ask, the easier it becomes and the more yeses you get. So it’s just, it’s just about taking that huge leap of faith I guess and just putting yourself out there and asking question because you’ve really got nothing to lose. The worst you’re going to get is a no at least you’re not going to go home that night and say oh my goodness, I cannot believe Lisa asked me to join her business. That’s not going to happen they’re going to go home and they probably not going to think about it again or you’re going to have planted a seed in their mind and they will actually be going home and having a little bit to think about it. [7:37] Jen: That’s funny, because it’s always our own fear isn’t it? [7:41] Jen: It’s not reality it’s just ourselves. [7:44] Jen: So, tell me what kind of questions are you asking? [7:47] Lisa: So look I ask questions about you know – if I don’t know them do they have children, are they working, what type of work are they in, do they enjoy what they do? Do they take trips very often. Lots of questions like that just give you a bit of an indication as to their lifestyle and where do they fit in. You know do their kids play sport, all these little things are reasons for you to say just that a little bit of extra money every week or every month could be paying for your daughter’s dance lessons or swimming lessons or they might be a really busy person, well statistically busy people are the most successful so that’s a fantastic reason to be getting involved in direct sales as well. So I guess I’m just always asking, a little bit about them because the key the huge key to this business is listening and taking what you’re hearing and turning it into a great reason to be part of it. [8:40] Jen: Yes, by providing solutions to different things. [8:43] Jen: So, what advice can you give others, I mean, we all know we’re going to hear a no, how can we overcome some of the most common objections raised in this business? You know, the I’m not a sales person or I don’t have enough friends, I don’t have enough time, Lisa I’m just not confident I don’t think I could do what you do how do you overcome that? [9:02] Lisa: So I think it’s really important to be relatable and to let them know if someone says oh I’m not a sales person I can’t be a pushy sales person, you know, I say to people I’m not either and I could never do that either and I thought like I wouldn’t be able to sell when I joined but you know I’m so passionate about our products or our company that it just happened or people just noticed my product and ask questions about it. You know I talk about my in home party because we do live demonstrations. I talk about you know I ask people at my parties to have a look and see that I’m not a pushy sales person and people come back and say you’re really not you’re just super excited and that’s what gets people excited about wanting to have what you have I guess. [9:50] Jen: Sounds like you’re passion and enthusiasm is rubbing off everyone else. [9:54] Lisa: Yes, that’s right, and things like not enough time which I would definitely say is probably the biggest objection I get and that’s the people are busy and I love that one because as I said statistically busy people are the most successful, they are great multi-taskers, they’re great at keeping organised because they have to. They have a huger circle of contacts than anybody else have got. They might work full time so they’ve got people in the office, they’ve got the people they buy coffee or lunch off every day and then if they’ve got kids at home they’ve got school friends, sports friends so their circle of influence is so huge sort of a great benefits so I love sort of turning that one around as well. [10:37] Jen: So, what about I’m not confident? [10:39] Lisa: Yes, so that’s definitely a big one as well. Obviously I’m at a party talking to people very excited and confident but I do I just share with people that that was not always the case. I’ve come so far myself in a year and doing something like this is perfect for someone who lacks confidence because yes the first one or two times that you get up and talk to a group of people can be daunting but the exhilaration, the feeling you get from doing that is amazing and again three parties in you probably be feeling more and more confident and you get to the stage where a year down the track you’ll say oh I can’t believe I have no confidence, I can’t believe I can do this so easily now. So I think it’s actually a really good reason to be part of this industry is to gain that confidence and I have seen over and over again wonderful women in my team who struggled with confidence and this has truly changed them and changed their lives because they’ve gone from the place of I have people not being able to walk out their front doors to now staying in front of the group of people and being able to confidently speak so it’s pretty amazing. [11:46] Jen: Great things happen when we step outside our comfort zone. [11:50] Jen: So, a common phrase we often use in this industry is come from a place of service. It’s all about sharing versus selling. You’re providing a gift or like you said a solution. So talk to me about your thoughts on this? [12:04] Lisa: Yes, so I think that is so very true, I think it’s really important to I guess have a lot of additional services to just the product you’re selling. You will not be really great with your follow-up in touching base with people and making sure they’re happy with their product experience and if they’re not at one point or another you know if you can catch with them one on one and work them through that because all these things are going to leave them to be having a much more enjoyable experience and lead them to saying this could be the place I sort of want to be or I could do that I can talk people through things or I can catch up with someone for a coffee and yes, just state that you are as you say, providing a gift rather than just the product that they are going to be using. [12:56] Jen: It’s like you wouldn’t go to a great restaurant and not tell your friends about it. [13:00] Lisa: That is exactly right. [13:01] Jen: It’s all about providing the solution. 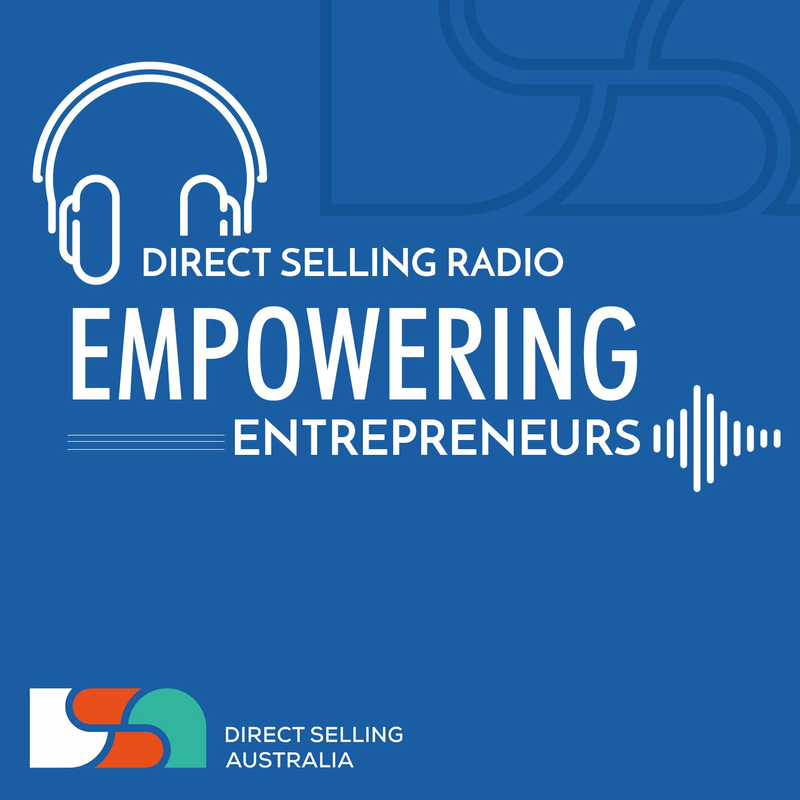 [13:04] Lisa: Yes, and it really does make the difference if you go to someone that just sells you and you never hear from them again and then somebody is constantly following – up and making sure that you’re happy there’s a huge difference to retaining customers. [13:18] Jen: So, we talk about this before but you know there’s always going to be those people out there who do say no sometimes its just timing as we know. What’s your advice on distancing yourself from negative responses and you know not taking it personally? [13:31] Yes, so look I think this is a big one and this is a huge one that stops people before they should start so to speak. In the beginning, it is really hard to handle a no, but I think it’s so important to step out of bed in the morning and very consciously and intentionally decide to be positive and to push through any negatives and any no’s because once you get a yes it is so rewarding as I said that all no’s prior to that are sort of knocked out of the way. I think especially in the beginning you have to be extremely intentional in not letting those things get to you because once you push through that barrier and keep going and keep going and it’s like picking up the phone, I’m just such a huge advocate of picking up the phone. I know we’re an era where Facebook and text message and all those things are quite prevalent and don’t get me wrong I’m on Facebook for half a day on my business but picking up the phone, sitting yourself down with a list of hundreds customers to call or whatever and just picking up the phone and calling those people. [14:35] Three or four calls it’s so daunting to get started, but three or four calls in it will get easier and easier and the more no’s you hear the more yeses you’re going to hear along the way and when you hear those yeses it just gives you such exhilaration and such a confidence boost that it can propel you to I guess striving for the next no because the more no’s you get the closer to a yes you are. [14:57] Jen: So how do you identify those people that might be ready to go from just being a product user, they love the product to talking about the opportunity to build a business? [15:06] Lisa: Yes, well, this is an awesome one because I think product users, product lovers you’re already halfway there with them and they’re already halfway there if they decide to take you up on the opportunity. They already love the product and they’re using the product and they’re probably telling their friends and family about the product. They have probably hosted the in home party or something like that if that’s what your company does and so yes, as I say you sort of halfway there with them because they’ve already got that passion and excitement so I think it’s really quite easy to them start talking to them about the benefits of becoming a consultant, say, “look Sarah I can see that three of your friends or family have started buying from you as well you know if you decide to take up the opportunity that you could actually be earning an income from what you’re family and friends are already purchasing and that you would also be saving on your own product and then I think that’s just a great lead in to sort of share those seeds along the way. You know, I often joke with some of our VIP customers. You know I’m going to ask you to join and just plant some seed and get some thinking about the opportunity doing a little bit of research then I’ve had people come back to me and say well I knew you were mucking around but in my head I wasn’t mucking around and they have gone and done a little bit of reading and come back to me and realised that why would I be a customer when I could be earning some money here and making some friends along the way? [16:33] Jen: Why wouldn’t you, there’s so many industries say that you need pre-qualify people and other say don’t prejudge so can you share a success story where this has happened? [16:44] Lisa: Yes, so absolutely. I am quite a big believer, I’m not prejudging and it’s purely because I have experienced this in a number of cases and it’s funny how many times it takes you to sort of get that through. I know it took me a while to realise that the opportunity really is for everybody. So I guess that’s a couple of instances of where someone that is extremely busy that most people might say, “oh that person don’t want to join my team because that person works full time, one of this people works full time in management and very busy five days a week and has kids and she went so far as to have her join kit delivered to her workplace just so she could open it in front of people and that’s just clever thinking right from the get go, so definitely do not prejudge. In saying that, there definitely have been cases where I have very intentionally, I guess, gone out of my way to speak to somebody because I know their background or I had a team member join because I went to Uni with them twelve years ago and I just knew she would be fabulous at this and have the skills to do some really great things. So every now and again I do do that, but in general very strongly say don’t judge the book by its cover. [19:03] Jen: I think going back to what you said before about people that are busy and you know they have a full time corporate job and they’ve got kids and they juggling that to me that’s even more of a reason why you need to ask not to prejudge because as you and I both know and many of the listeners will know many people in this industry have come in because they were looking for flexibility, they were looking for work life balance. They wanted to be with their children and this is the solution to that. So prejudging those people that are at that level I just think that’s crazy. [19:34] Lisa: Why would you do that? And you know those people also need some me time and that’s what our industry provides as well something for us. [19:42] Jen: So, what are some of the ways that you showcase the opportunity? [19:46] Lisa: Yes, so as I say my business is around party plans so I absolutely love to share the opportunity in person when I’m talking through a demonstration that would probably be my favourite, I guess it’s way to start to talk to people about the opportunity. Definitely as part of that, listening is a huge I guess a huge focus area because you want to hear people talking about you know their busy lives or maybe they ask you a question about how many parties you do or do you work on weekends and all of those little things are hints along the way that you should be talking to that person a little more. I absolutely am a big advocate for sharing my story and successes via sort of attraction marketing and things like that so I like to along the way on my personal Facebook page not talk directly about my business or the opportunity or the product but just show that great things are happening in my life and you know I’m having fun and I’m loving what I’m doing and that’s sort of starts to bring people to you to say “oh whatever you’re doing looks pretty fun or you’ve earned this so you’re doing on this trip or whatever brings them to you. Opportunity events are really great too. An area meetings and things like that for sharing, specifically sharing the opportunity and I also run sneak peeks of my team page on Facebook as well so whether it’s a Facebook party or an in-home party or just in general through my VIP group, I’m constantly offering sneak peeks into I guess my little world, my team page which is an awesome place to be and once people take a look they don’t very often leave so yes, that’s just a few ways where I get the opportunity out there. [21:27] Jen: So sometimes you really have a really short period of time to share that opportunity, you got to share who you are, what you do and kind of grab that other person’s attention and generate that positive response. So, Lisa, can you share with us your elevator pitch. [21:41] Lisa: Yes, absolutely! So I am lucky enough to enough to work with a product that is visible so I often get asked about my product which is an excellent way to start and I’m very lucky to have that sort of leadin, but I just love to tell people how much it’s changed my life that I’m home with my kids, I love that I can have that conversation with my kids right there at the shops in the trolley with me and for people to see that this is sort of my day to day life, so you know, I’ll say “oh, yes it’s amazing, people say do you have you day off work or something?” No, it’s actually – this is my job I work my own hours. I do most of my work at night after my kids go to bed, a lot of it online, a lot of it on Facebook. I just bought this pair of swimmers because I’ve got this amazing incentive trip coming up. I like to throw in the trip opportunities and the conferences and all that type of thing, you know, around how it’s changed my life and of course I’m talking to them about the product which as I say is very visible and so I love to share a little bit more about that with them too. I love to give them a sample of my product and I always, always, always exchange a sample of the product for their contact details to talk to them so that after our first meeting. [22:56] Jen: Very clever! So, what are the top three things to remember when sharing the opportunity? [22:58] Lisa: So, I think passion and excitement is absolutely the key. Excitement is contagious and if you are excited the people around you are naturally excited and they want to have I guess they want to have what you have. Definitely, not judging books by its cover or not prejudging someone for their situation is probably number two and I think number three is trying to – I guess get across how this industry allow us to have life balance and to do something that we have a love and a passion for. So, yeah I think that’s probably number three. [23:37] Jen: So, the top three mistakes you see people make when they’re sharing the opportunity? [23:42] Lisa: Yes, so I think I know I keep repeating this but prejudging people and I know I did in the beginning myself not necessarily intentionally but it is so common for people to think oh no that people wouldn’t be interested, maybe they’ve had maybe he’s been a party host hasn’t earned any reward for one reason or another and so nine times out of ten people won’t asked them to join their team because they think oh this person doesn’t think that we make any money because the party wasn’t successful and we don’t know what that person is thinking maybe there’s ten people who could not attend the party that she knows would absolutely love the product, maybe she’s attended a previous party that had huge sale and she understands the potential they could make or maybe she’s looking to join you know a company like this just for fun in a way of meeting people so I think prejudging is a huge mistake. Number two is not asking, not asking everyone so again I know I keep going back to parties because that’s our business but don’t let somebody walk out the door that hasn’t purchase anything. You don’t know why they haven’t purchase anything ask them the question they may not have purchase simply because they think it’s too highly priced, you know your solution to them is hey you could be saving a little bit on your product but you could also be making another income so I think those are the main and just being just not taking the lead to share the opportunity I think those are the biggest mistakes. [25:12] Jen: Are there anyone in your team has major fears about sharing your opportunity and can you share with us how they overcame that and became sponsoring superstar? [25:21] Lisa: Yes, oh I have so many stories I could share about this because it is happening every single day and just in general, you know, overcoming the fears about talking to people and about putting themselves out there. I’ve got my team, my team is doing a fabulous project at the moment around giving back to the people that are less fortunate and I’ve been so impressed that so many of my girls have maybe gone live on their Facebook page for the first time ever and has been a huge fear for them and you know I’m already having conversations with them post that, they had such fabulous results and responses from the people that they know and the wider community that all of a sudden they’re getting that confidence to go out and talk to everyone and anyone about the opportunity because they are living proof that amazing things can happen. So I think that fills people with confidence as well and even just going to a company conference or getting inspiration sort of that way once they take their leap and just say I’m going to do it what have I got to lose amazing things, amazing things happen. [26:31] Jen: So, a few quick questions before we finish off today Lisa. Your favourite song? [26:37] Lisa: Ok this is a really a tough one actually so I‘m going to say two songs. So the first one I’m going to say is a little bit cliché. It’s a song by Eddie Cassidy and that was my wedding song so you know it holds a special place every time I hear I still I get teary and I’ve been married, I don’t know, nine years or something but the other one and people may laugh at this but I love Christmas so much and I should have said that in my intro line, something that you may not know about me… I love Christmas to the point where I have Bing Crosby Christmas carols in my car all year round. So yes, so I say Bing Crosby White Christmas because I really love it. It’s my happy place. [27:19] Jen: Oh it’s just some things you just shouldn’t share. [27:22] Jen: I can’t imagine your product really blends really well to Christmas as well. [27:25] Lisa: Yes, yes and my kids love Christmas and I’m pretty sure because they have a whole Christmas carols in the car no matter what time of the year it is. [27:33] Jen: How’s your husband with that? [27:38] Jen: Oh, now you’ve embarrassed him. Don’t go on. [27:40] Lisa: Yes, no. That’s right. [27:40] Jen: He hates it. [27:43] Jen: You can’t live without? [27:46] Lisa: Well, I guess these things are fairly easy I obviously can’t live without my kids, my husband, also my family, my mom who I – she literally lives ten minutes away and we still speak on the phone every single day and then I cannot live without my phone and Facebook and I know that’s a pretty common one as well. [28:02] Jen: And you’re inspired by? [28:04] Lisa: So I am completely inspired by the stories of lives being changed. Joining this industry has changed me and a big part of that is understanding how much it can change other people’s lives and I mean if you could see me right now I’ve got goosebumps and anybody who knows me knows it’s kind of my thing I get involuntary goose bumps when you know I’m thinking about or talking about something I’m very passionate about and definitely the stories of changes and confidence and people being able to do that and just the amazing story of how … [crosstalk] [28:40] Jen: I completely agree with you. It’s just the best part of what we do every day. So, your greatest mentor? [28:47] Lisa: So, my greatest mentor and this answer probably isn’t as deep as most people would answer but I would say up until a year ago I didn’t really have a mentor because the industry I was in just wasn’t like that I supposed, sadly. I lived with that for 11 years but I’ve definitely, definitely got mentors now and they’re you know anyone from the person who brought me into the business that I’m into who I speak to so regularly and is you know one of my greatest friends to of our company’s director of sales who I am lucky enough to talk to very, very regularly and hold a special place in my heart. Those people are absolutely my mentors every day of the week. [29:29] Jen: Tell me Lisa what are you excited about? [29:32] Lisa: I’m a very excited person if you haven’t been able to tell… [crosstalk] [29:36] Jen: My question should have been what aren’t you excited about? [29:38] Lisa: Yes, that’s right. So I am pretty positive and excited. I am just so excited for what the future holds. I am looking forward to reaching some pretty outlandish goals personally and within my business and definitely I’m excited about helping and inspiring others to do the same to make goals and dreams that they you know never thought were possible. [30:00] Jen: Thanks so much for being with us today Lisa. I’m excited about watching your journey continue to unfold and hearing all about your continued success. So, thanks again. [30:10] Lisa: Thanks Jen, thanks a lot.